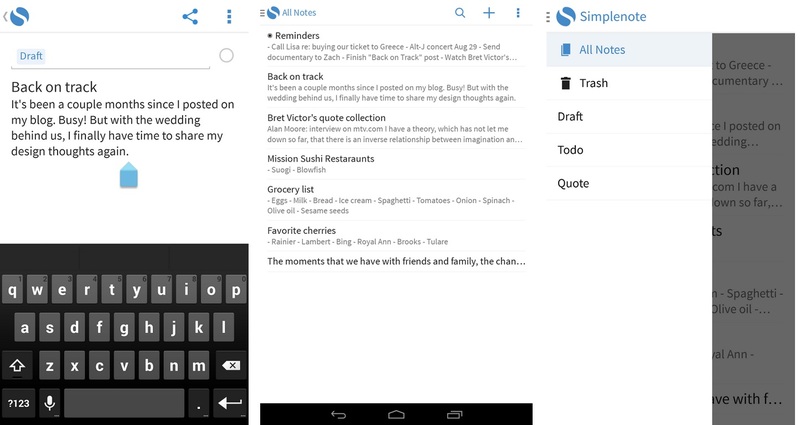 Simplenote, the popular productivity app acquired by WordPress-owner Automattic earlier this year, is now available for Android, as The Verge reports. Like the iOS version, the Android app is free, but those who download it can get started right off the bat, without the need to create a Simplenote account. Users who do go to the trouble of signing up or logging in will see their notes synced and maintained across the iOS, Kindle and Web versions of the service. The Simplenote team says it has plans to launched a dedicated Mac app soon, and is also working to redesign the existing iOS app for Apple’s new iOS 7 operating system.